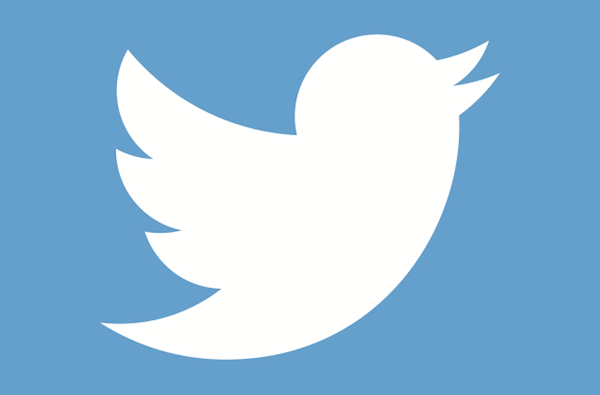 Twitter is a tricky domain most businesses shy away from. Most people feel Twitter is just a platform to follow celebrities and politicians and doesn't have much application beyond that. This is far from the truth. In fact, Twitter can play a big role for businesses if used properly. In a nutshell, Twitter is a platform that updates real time information from the world over be it the world of business, entertainment, politics or sports. It is the one platform where a user finds out exactly what’s trending and why and is a platform you should definitely explore if you haven’t till now. Twitter is a great platform that connects you not just to your customers but also other businesses, suppliers and competitors as well. However the more people you follow, the harder it gets to figure out who really is relevant for you and who isn’t. It might lead you to miss out on important details you can’t afford to miss. In such a situation, you need to prioritise people by using the Twitter Lists feature that allows you to create separate lists for people and you can group them accordingly. You can put them into customers, industrialists, competitors etc. and categorise them accordingly so following important tweets is now a lot easier. You need to keep your profile up to date as your profile picture appears with every tweet. This is a great way to show customers what you believe in and what you’re business is about. It helps assign an image to your business making it easier for customers to relate to you better. For example, when American Law legalised gay marriages in every state, everyone began the trend of updating their profile pictures to the colors of the rainbow to support the cause. This way you keep your customers updated about what values you believe in. You can use your business logo but make sure that it can be cropped into the photo as an incomplete logo might damage your business image. If you’re considering a headshot, it adds a more personal touch to your Twitter handle and can literally become the “face of your business”. Hence give your profile picture a thought before uploading it. Make use of exclusive bigrock promo codes to get the best web services and also earn the dual benefits of cash back and discounts making it an extremely amazing offer. Your Twitter bio is what people check to know about you and your business and hence it should be crisp and informative to make sure all the relevant information is on it. Your Twitter bio should be able to clearly state what you do and define a bit of your personality as well. Showcase some cause if you follow it and also explain how our business is making a difference. The catchier your business bio, the better it’ll be to help you stand apart and make people want to follow you so they’re abreast about your activities. Make sure your bio clearly states your beliefs and exactly how your business will be helpful for everyone. Make use of exclusive godaddy coupon codes that help you earn additional cash back which is provided over and above discounts from CashKaro.com and make use of their amazing web hosting and domain services. Social media is all about conversation and it’s your job to make sure you’re part of the conversation on Twitter. Everyday make sure you check the direct messages and mentions you receive on Twitter. Direct messages are personal messages from people who reach out to you directly and mentions are public which include your twitter handle in the tweet. Make sure you reach out to these people and also follow them. Also most people may not use your twitter handle in their tweets and might mention your business instead, hence conduct search on twitter to see how many times your business was mentioned. Comment on and retweet such tweets to keep the conversation going. Be an active part of the conversation to show people you’re looking into your Twitter and you value their feedback. Always make it a point to follow those who are talking about you! It’s your job to keep the conversation ball rolling. The first task is to build a community of followers and following relevant people. Once you’re community is set, it’s time to put Twitter to the real test and using it to get the word out there for people to know about you. Offer special discounts and deals by announcing it on Twitter and make people curious about events you conduct through Twitter. You can also announce special sales and deals of the day to let your followers know what you have in store for them. Make use of special rewards for those who ardently follow you and take interest in your activities and participate in your competitions. You can give a free side dessert to your follower or a discount on their next purchase. Such small gestures go a long way to establish customer loyalty. Similarly you can also use twitter to hear customer complaints and make it your official platform to address customers and show the world you’re quick and prompt replies to customer querries so people know you’re always reachable. This is a great social media platform that is capable of really helping your business grow and reach the heights. You just need to spend time into building your twitter presence and once you have a strong community you can keep in touch with them by providing them real time information and always being a tap away from your customers which is as real as it can get between businesses and customers. Make the best use you can of Twitter and unleash its powers to reach your true zenith.